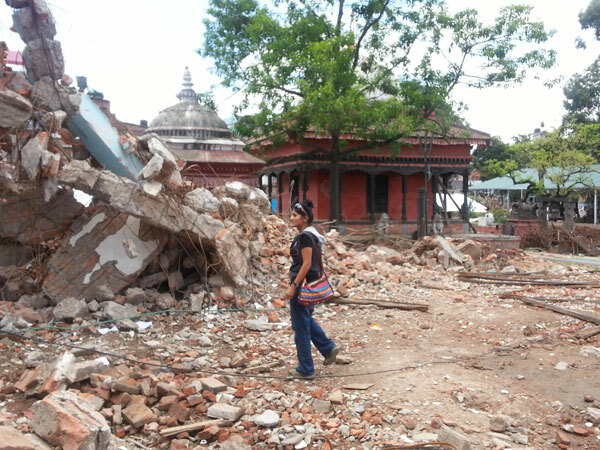 Today June 23rd we help directly at school destroyed by earthquake ! 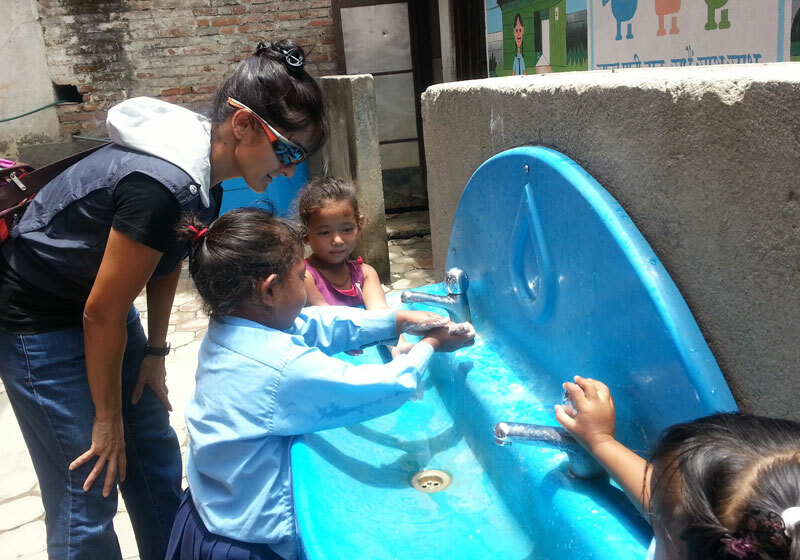 – ArunasNepalRelief, Inc. These school children come from very poor families and their school is completely devastated by the earthquake, as you will see below on the photos and videos I post. They were so happy to receive the remaining backpacks from Dhading. Although we did not have exactly the same amount of supplies due to someone taking some of it in Dhading, the children smiled at whatever they recieved and were so appreciative, it was quite touching how little they were content with. We were short on backpacks at the end and we started just giving out notebooks and still they were so gracious and thankful. We were short again and started handing leftover sharpners and a few pencils….it went on but they kept smiling. 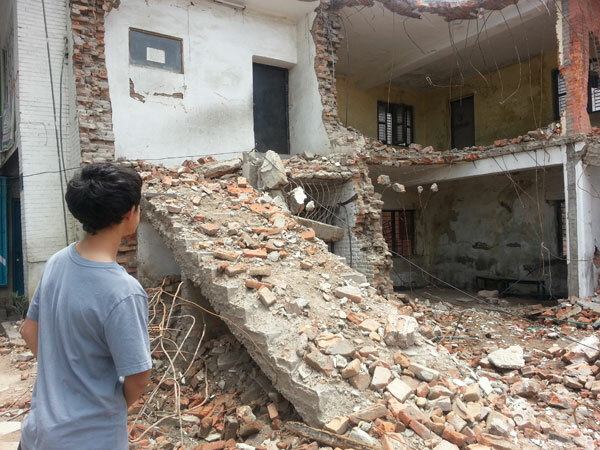 Helping school children who come from very poor families affected directly by the earthquake. My son even asked their names in Nepali and was smiling with them. We donated soap, toothpaste and toothbrush as well. These little one’s really know how to scrub like a surgeon! Despite what they have endured and continue to, their smiles are contagious! They teach us a big lesson about resilience! They come from very poor families, their school is destroyed yet they carry on like its just another day. School Devastation we saw with our own eyes. 2. 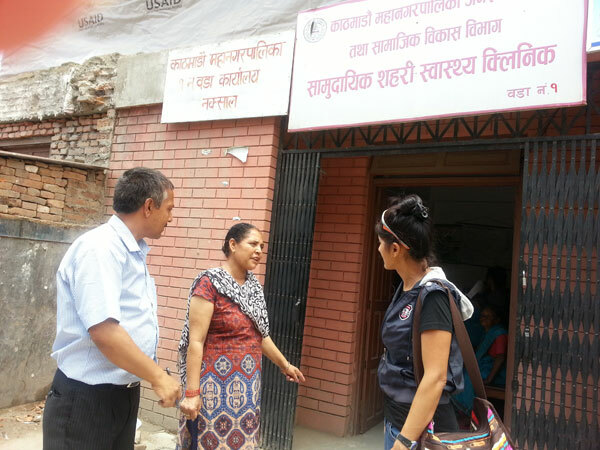 Distribution of medical relief supplies at Nanda Samudayik Shahari Swastha Clinic, Naxal, Kathmandu. Thank you Murchison Middle School, Austin, TX and US donors! We donated all Medical supplies to this clinic that helps the children of the devastated school directly and the local community. 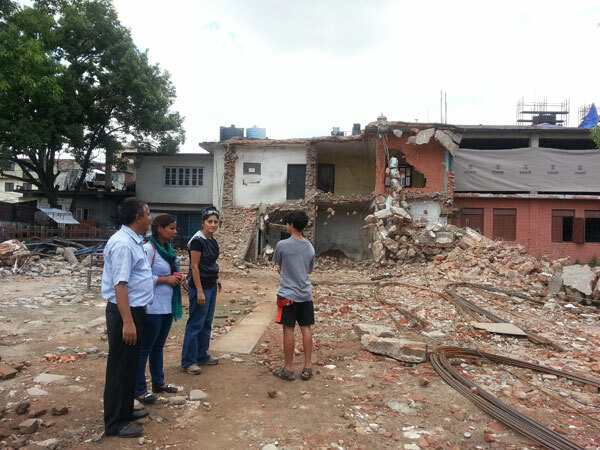 June 23rd, 2015, ArunasNepalRelief,Inc. making sure that the medical supplies we donated will be utilized effectively! Narendra uncle, my mom’s next door neighbor and long time family friend, let us borrow his SUV and driver Bhai to take the supplies and Bibeck helped coordinate and has been letting us camp out at their home to get work done on the computer. So grateful, thank you both and thank you to driver bhai! Jayjeev Hada and his “Committed” NGO team you made this possible by coming to my aid immediately and within just one day coordinated the location and sent two of your staff to help us. 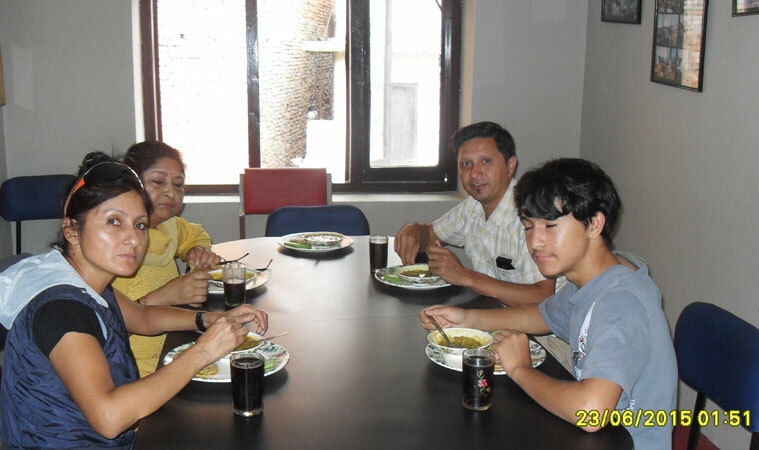 Thank you bahini’s for accompanying us. Thank you for feeding us lunch at your office Jayjeev! Jayjeev Hada and Committed NGO team members. They are an honest bunch and offered their help immediately and effectively. Thank you! 3. 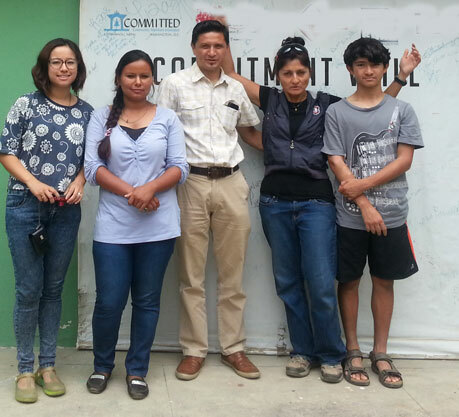 Jayjeev Hada’s NGO “Committed” signs off on water purification supplies with contract to deliver in September to the health post in Sindhupalchowk where they will be able to utilize it fully. Right now due to the Monsoon rainy season we are unable to go, road closures and landslides. You guys are commited, true to your name and we thank you! Handed all the water purification supplies to Jayjeev at Committed who will utilize it at the village health center of Sindhupalchowk in September. The roads are closed right now due to monsoon season so we cannot go. An unexpected welcome lunch by Jayjeev and committed was just what the doctor ordered right after distributing relief supplies at the school and clinic. Thanks guys, so sweet of you! Thank you US donors again and Murchison Middle school for all the supplies.